Business Process Outsourcing helps businesses conduct their fundamental processes through another contractor while focusing on other areas of expansion. Evidently helping businesses improve their operations, it is also one of the most cost-effective and workforce-efficient strategies known. Helping firms grow through the aid of a sub-contractor conducting customer service and front office duties, the World Bank stated that the revenue of the worldwide BPO industry is situated at 24 billion USD in 2016. With the past two decades yielding tremendous success to the Philippine BPO industry, the sector now generates 10% of the country’s economy making an annual revenue of 25 billion USD. The Philippine BPO industry made a leap to triple its global market share from 4% in 2004 to 12.3% in 2014. It is estimated to accentuate to 19% by 2020. From its nascent start back in 1992 with Accenture, there are now over 1.3 million Filipino professionals employed within the BPO sector. This number is expected to morph into 1.45 million by 2020. Predicting a great future ahead unfazed by rising AI technologies, the Philippine BPO industry continues to grow even more. In fact, CB Richard Ellis (CBRE), a property consultancy empire projects the Philippine BPO revenue to double to $50B USD by 2021. This estimation matches the Oxford Business Group’s prediction cementing its position as one of the most credible offshoring hub worldwide. Contact Center Association of Philippines (CCAP) declared that the Philippine BPO is foreseen to progress into a $40-billion industry within 3 years. This is based on its astounding 16 % annual growth rate. Overthrowing India, specifically the city of Mumbai as the 2nd ranking BPO destination in 2015, the Philippines proved its prowess to be competitive even in the worldwide market. Hailed as “The Call Center Capital of the World” by Transcom Philippines, we continue to be steadfast in proving world-class services. Datamark placed the Philippines as the number one offshore BPO destination in the year of 2016, dethroning India the second time around. A lot of international research and data companies placed the Philippines as number 1 go-to country for outsourcing. 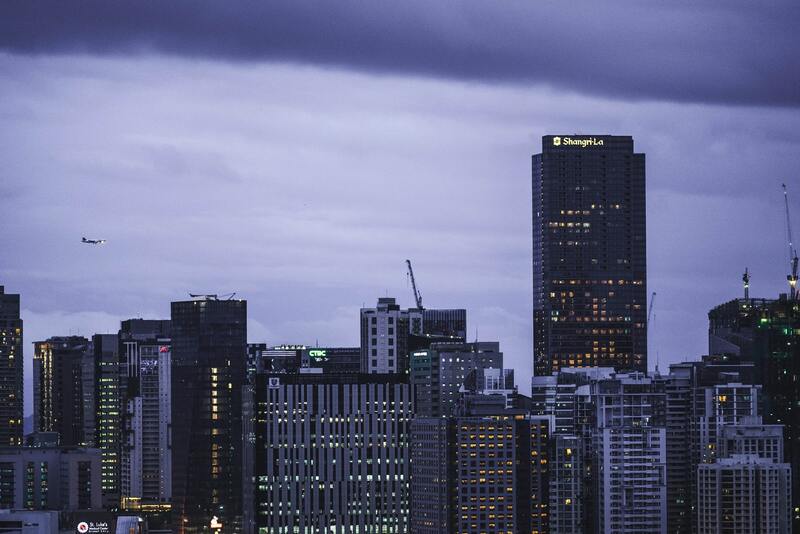 The city of Manila ranked 4th from Tolon’s list of top outsourcing destinations worldwide. The city of Manila holds the majority of Philippine contact centers owned by foreign companies. Mapagkakatiwalaan– the Filipino word that stands for “trustworthy” has been proven and will continue to be one of the most admirable traits of the Philippine BPO. BPO empire Accenture Inc. who have been in partnership with the Philippines since 1992 have made P28.104 billion revenue back in 2012. Meanwhile, Convergys Philippines Services Corp. made P17.281 billion revenue in the same year and continue to open more opportunities to competitive Filipino professionals. The IT and Business Process Association of the Philippines (IBPAP) boasts that the revenue predicted to be at $25 billion USD in 2016 was achieved due to laudable Filipino professionalism and outstanding capabilities. The National Statistics Office recorded a phenomenal boost in the Philippine literacy rate to 97.5%, climbing from 5% in 2000. 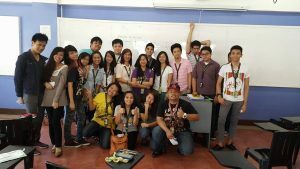 The Philippines topped Global English Corps. list of top business English-speaking countries scoring to 7.0 for the Business English Index back in April 2012. This proves that the Filipino professionals are capable of transacting and communicating effectively with evidently high proficiency. 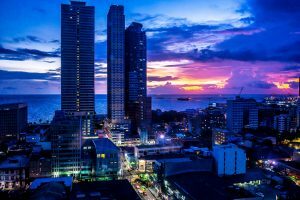 Now, more and more investors choose the Philippines to provide offshore services due to accent neutrality and the conversant nature of Filipino professionals. The Filipinos’ ability to speak articulately with diction, enunciation and near-native pronunciation makes us even more competitive in handling BPO sub-sectors and processes. The Filipino educational system is based on western curriculum, introducing ideologies and promoting cultural affinity. With a neophyte being compensated to at least $300 USD a month, and professionals earning roughly from $500 to $1000- the Filipino service lets businesses cut costs while being efficient. The Philippine BPO is not only renowned for its dominance within the worldwide market, but for reasonable labor costs and great quality of services. The Contact Center Association of the Philippines charted contact centers handling 69% of voiced accounts. Filipino outsourcing subsectors are divided into transcription, software development, engineering design, game development, back and front offices, animation, and KPO. The Philippines is expected to create 700 thousand medium to high skilled jobs by 2022. Its biggest competitor, India, is impending to shrink 11% by 2021 following a massive 70% loss in its outsourcing market shares comprising of BPO services and contact centers. 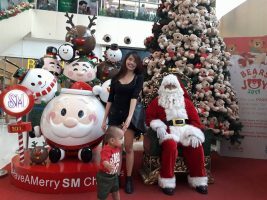 Filipino “Pinoy” workers with their foreign supervisor. From educational systems based on western curriculum to promote cultural affinity, to supporting training programs honing marketable skills- the Philippine government has shown significant actions in supporting the growth of the BPO industry. Republic Act 7916 promotes the privilege of budding BPO industries as exempting startups from paying national and local taxes in exchange for contributing 5% of their gross income as tax. This lets them generate more revenues while avoiding hefty costs compared to establishing their business in another country. The Special Economic Zone Act of 1995 signifies that the Philippines is willing to foster genuine partnerships with foreign business entities and equip them with exceptional Filipino service. Philippines’ Technical Educations and Skills Development Authority (TESDA) offers training to undergraduates and neophytes to further improve their skills and prepare them to enter the BPO industry. This short-course training program solely provided by the Philippine government aims to mold the speaking skills, cultural schema, customer handling approaches and problem-solving abilities of the trainees to embark a great influence in their performances. Being an American colony and blessed to have the educational system patterned to the western curriculum, Filipinos are well-acquainted to the foreign culture. Aside from being innately conversant, Filipinos have a good inclination to western traditions and humor. The political ideologies, economic principles, trends, and lifestyle are mostly derived from prominent western countries. 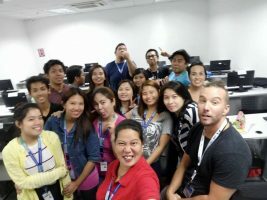 In addition, the Philippine BPO’s versatility in adapting to cultures regardless of the time zone and language have made it a great choice for western businesses. The National Statistics Office proudly announces that there are around 3 newly-registered foreign businesses that merge with Philippine workforce every week. The steady upward trend of the BPO industry in the Philippines assure you of a continuous growth, together with employees showcasing great social skills and commendable performances. Budget allocation, estimations, market research and determining which BPO sub-sector you’ll need is paramount to become your first step. This also includes shortlisting the candidate companies to become your contractor, comparing costs and benefits and setting a clear goal as to how you want your processes to be carried out. You may choose to have a physical office or have a remote team assembled to delegate your tasks effectively. Outsource Accelerator provides a great source of credible information and advisories for business leaders regarding Philippine outsourcing. Their blog, The Source, features a profusion of white papers, reports, blogs, and essays that can further educate you about how best you can benefit from Philippine outsourcing. Department of Trade and Industry (DTI) is responsible for your business name registration if it will be under sole proprietorship. Your business registration will be processed through Bureau of Internal Revenue (BIR) and you will be provided a Business Tax Identification Number (TIN). If you wanted your business venture to be registered under the name of an existing corporation or association within the Philippines, you have to register your firm with the Securities and Exchange Commission (SEC). If you want to have your business to be located in a specific place in the country, you may opt to register in PEZA. The Philippine Economic Zone Authority provides numerous incentives to firms owned by foreigners established within economic zones. With the help of PEZA registration, your business merit specific tax exemptions or subsidies from 3 to 8 years after registration. Lastly, DTI’s regulatory branch named Board of Investments (BOI) lets foreign investors gain incentives if they provide employment to Filipino workers. These incentives can be multiple- exemption from taxes, non-fiscal incentives, income tax holiday, promotions and others. There are third-party agencies that can assist your business in registering while providing you legal guidance. Metro Manila, Sta. Rosa, Cebu, and Davao are some of the most prominent places where BPO sites are established. Remember to choose a place well-accessible by your future employees, decide the size of the office, the number of rooms and seats, and the intricate engineering and utilization of spaces. Once you have decided where you want your business to be, you may get a Mayor’s Permit to operate. Contact centers are the jewels of the Manila skyline. It is beneficial to bring foreign staff from your headquarters overseas to supervise business once in a while. This is to ensure that the process is being carried out according to your standards. If you plan to assign corporate staff from overseas to the Philippines, you must first secure a working visa for them. 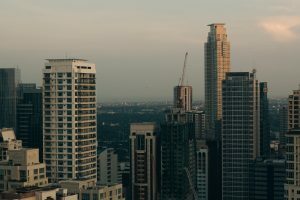 If you are already satisfied with how the process continues within the hands of the Filipino sub-contractor corporate hierarchies, you may conduct periodical visits without the need to permanently migrate. Conference calls and regular communication is highly advisable for any kind of business. This is to let you become even more engaged and aware of the progress that has been taking place. Filipinos are known to have warm social skills and perform their duties in a devoted fashion. 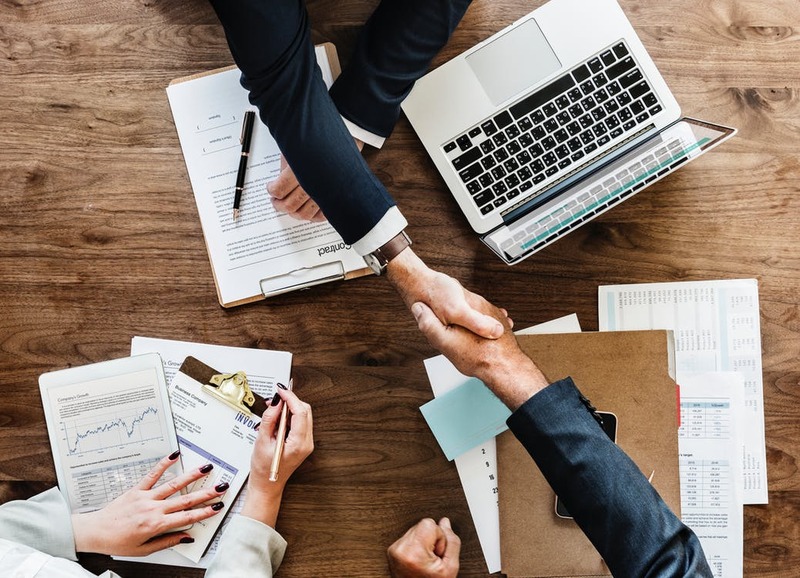 Once you have sealed a contract with a credible outsourcing partner, all you have to do is exchange updates and keep both parties informed of changes. Philippine Remote Outsourcing is a recruitment and outsourcing firm emerging from the humble soils of Marikina, Philippines. From meticulously screening professionals in the field of telemarketing, lead generation appointment setting, content writing, social media marketing, graphic designing, customer service and administrative assistance, PRO offers entrepreneurs world-class talents at a just price. Unlike freelancing platforms that solely depends on candidate bidding and subscription, PRO aims to refine the search for true talents and bring the best foot forward. 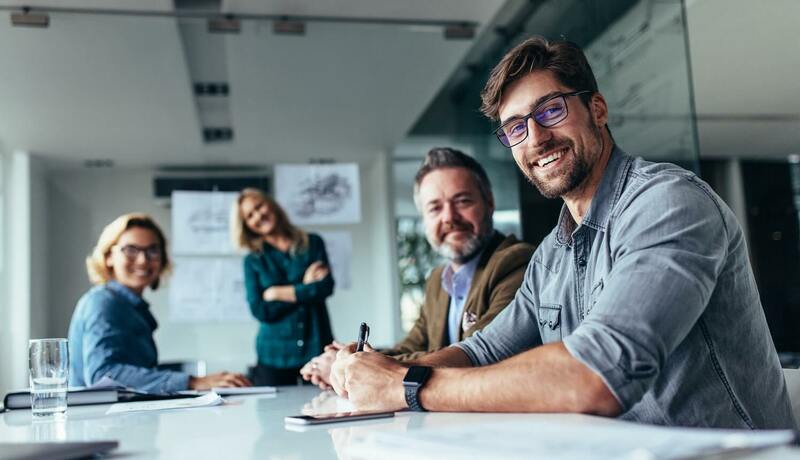 In accordance with the principle of Economics that financial gains entice people to put in their best efforts, it is also vital to keep your team motivated. Salary appraisals, promotional ladders, overtime bonuses, weekend incentives and recognition ceremonies can be very important to your corporate hierarchy. Thriving within a money-driven environment must be at the same pace as the desire for satisfactory results. Choosing an outsourcing contractor to conduct your processes is a crucial step that can make or break your business. Filipinos are known for their admirable traits of candor, resiliency, productivity, and enthusiasm. The buoyant industry of business process outsourcing in the Philippines and the indefatigable efforts of the government and its people are all reasons for you to establish a partnership with us. Let us, the Filipino professionals, transform unlimited possibilities into transcendental results.